Dactylorhiza cordigera is a robust plant with a height of 15 to 40 cm. The 3 to 7 broad leaves are spotted. The inflorescence consists of 5 to 40 flowers, tightly arranged, and each supported by a bract longer than the ovary. The spur is bented downwards. Petals and the middle sepals form a small hood. The lateral sepals are spreaded. The broad and rounded labellum is mostly three-lobed or heart shaped. The loops on the lip form an ornamental design. The Swedish botanist Elias Magnus Fries (1794–1878) described the plant as Orchis cordigera in 1842. 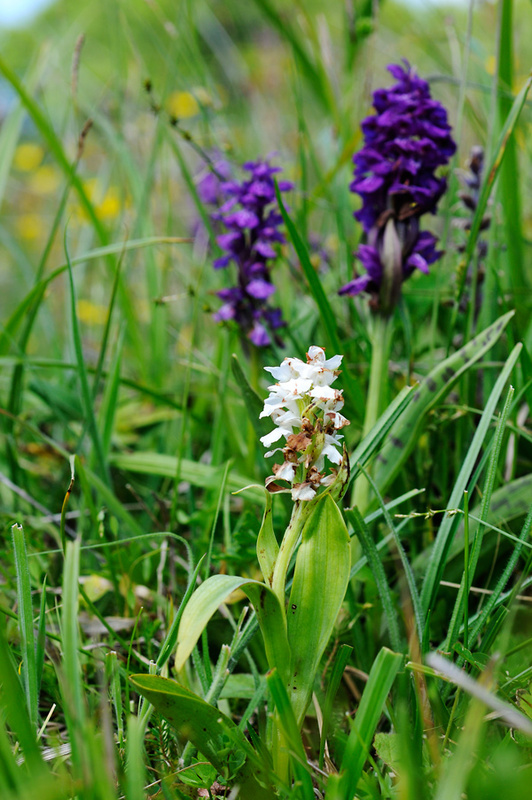 In 1962 the Hungarian botanist Károly Rezsö Soó von Bere defined it as Dactylorhiza cordigera. The flowers of Dactylorhiza cordigera have a deep red or purple colour. 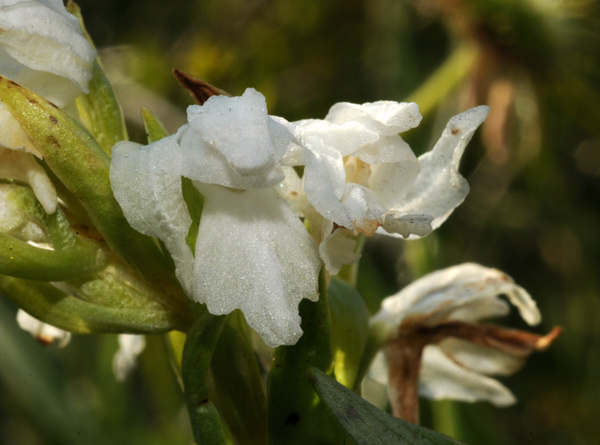 Albiflora forms are rare, though Klaus Cord-Landwehr has described a Dactylorhiza cordigera f. albiflora in 1977. 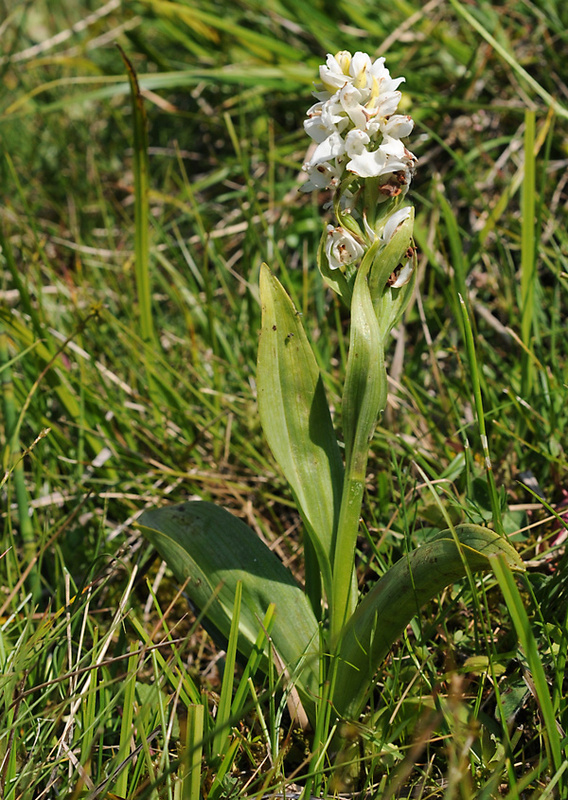 Dactylorhiza cordigera is growing in marshy mountain meadows, up to 2400 m. Bloom is from May to August. It grows in Northern Greece, Ukraine, Romania, Bulgaria, Albania, and other Balkan countries.